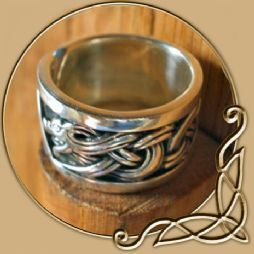 From the Ulf Eric viking jewellery design range, only available in 925 silver. It also has a split in the centre so it can be adjusted to fit almost any size, except very small and very large. 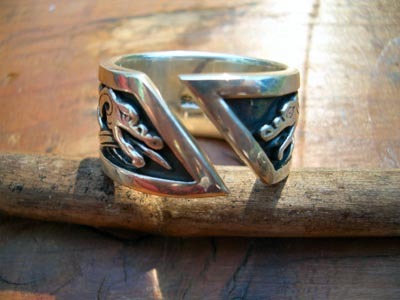 It's a very good quality, 'chunky' ring. Only in silver. Worthy of the most glorious Viking lord! 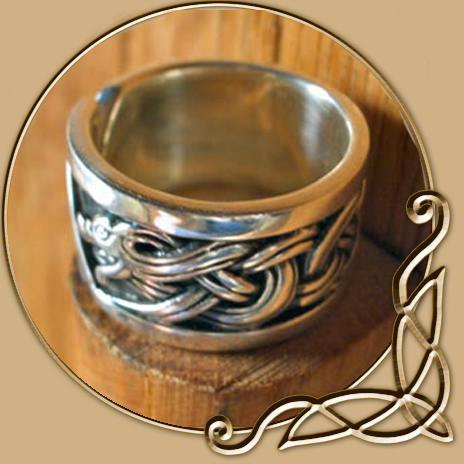 The design itself is based upon the Jelling Design and finds from Denmark. 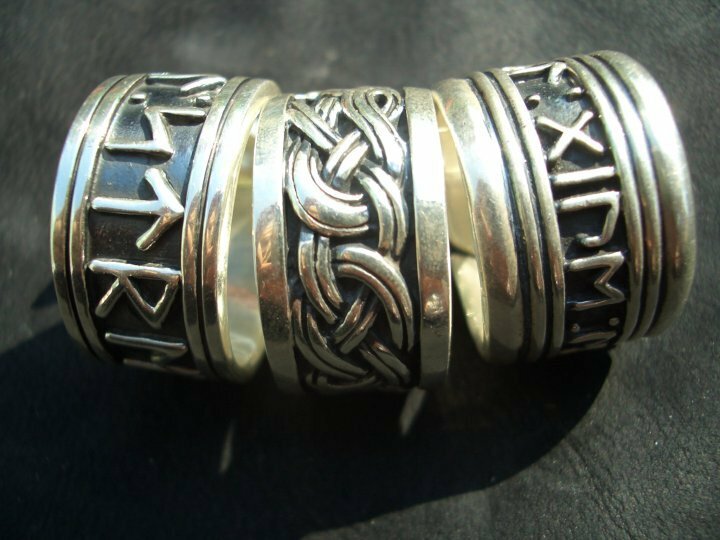 The Ulf Eric Viking Jewellery rings are of bespoke quality, and are value for money (considering how expensive silver is at the moment!) We are certain you will not find rings like these for such value for money, and of such a glorious magnitude!